I'm just a homebody this week. No big plans to go anywhere until tonight. I found soft spots on one of my pumpkins, so I cut those spots out, and baked up a bunch of pumpkins. 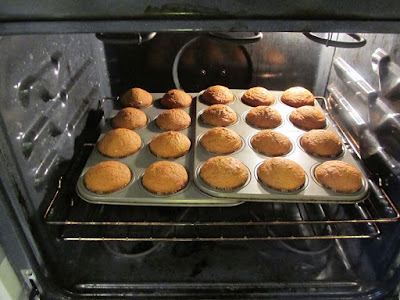 I froze several bags of pumpkin puree, and made a large batch of pumpkin muffins, using this little trick to get almost 2 whole trays of muffins in my 30-inch oven. 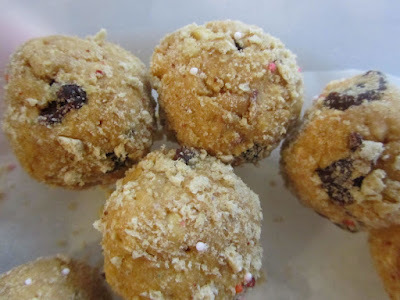 Needing snacks for packed lunches, I made a batch of peanut butter balls. I used a cup of toastie-O cereal, crushed to roll them in. 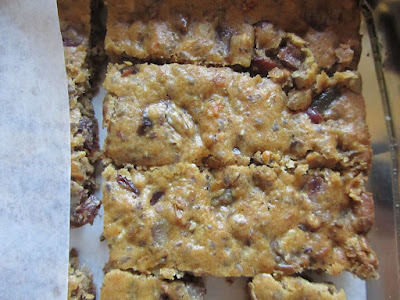 I also made a batch of No-added Sugar Fruit and Nut Bars. These make great breakfast bars, as well as snacks. For nuts, I used a combo of sunflower seeds, ground flax and sesame seeds and chopped almonds. For the fruit, I used dates and dried cranberries. 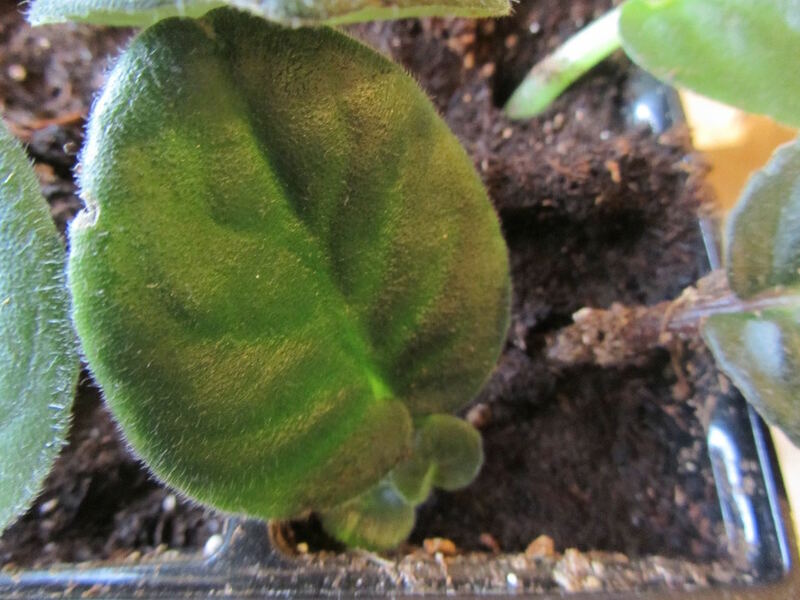 While watering the indoor plants, I noticed that one of my African violet leaf cuttings had shot up some baby leaves, indicating I have a viable plant from this leaf. My daffodil bulbs in pots (from December) are now starting to show some growth. I'll need to transplant these to the garden, next month. We've had some mild weather. 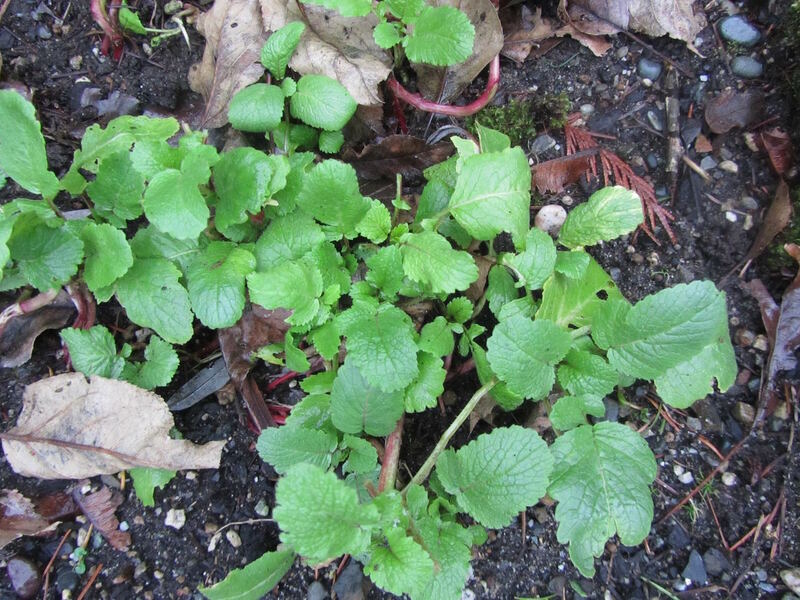 The kale looks healthy, as does this plot of radish greens. I used a bunch of radish greens, kale and mustard greens in last night's frittata for dinner. 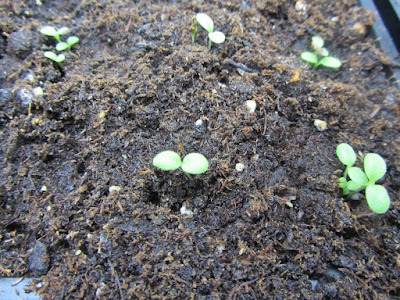 The lettuce seeds that I started indoors last week are now up. 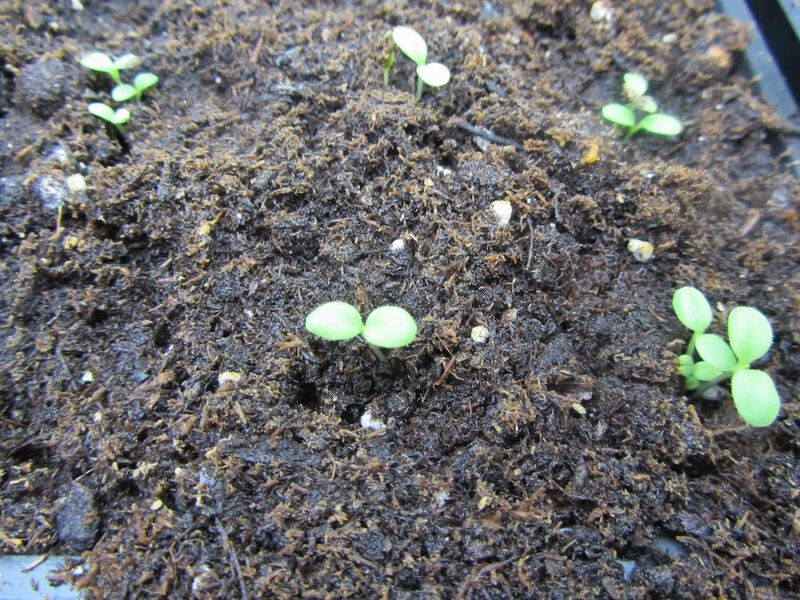 they're growing under lights, and hopefully will provide tasty salads in another 2 1/2 months. What have you been up to this week? Are you a homebody at heart, or do you thrive on getting out and about? Hmmm, well, I'm a homebody at heart and love being home, except I also love to hike and go a little stir crazy if I go too many days at home without getting outside hiking. But other than hiking, I love to be home. Gardening, puttering around, reading, planning (we joke that I have the next 3 years planned, though I'm certainly NOT that organized). 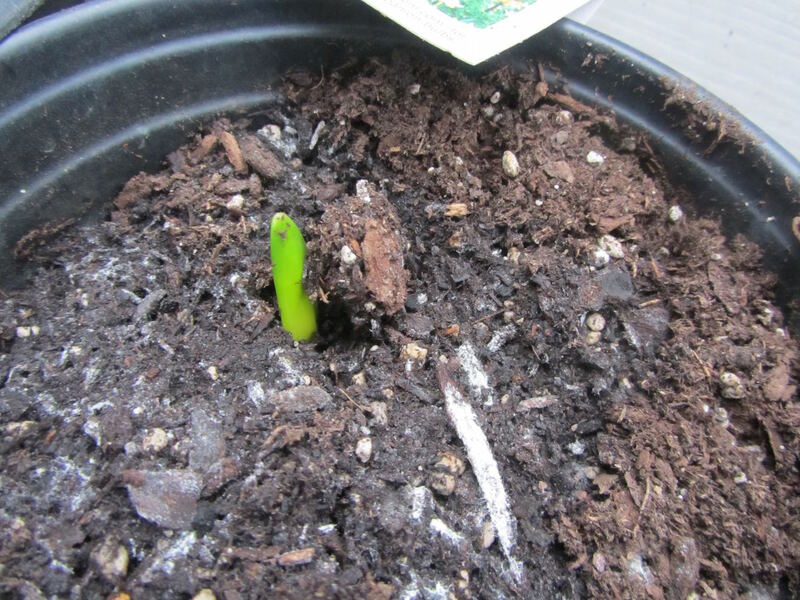 How exciting to have the daffodils up! 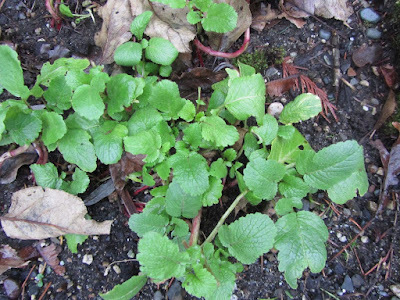 I have never even thought of planting with the intent to transplant. That is something I'll have to keep in mind when purchasing more bulbs this coming fall. As for what I've been up to, nothing exciting to anyone else, most likely. :D Trying to figure out which seeds to get started indoors, things like cleaning some windows here and there, the usual cleaning and cooking. Also, in attempting to see where I might save more money on groceries, I wrote out a long list of all foods we typically use in a month, what they cost, and what that total would be (of course some of these items are purchased ahead in bulk if found on sale). Figuring out what I want to do next with that information and how it might be useful. Also working on planning a menu for the next month taking into account the busyness of most week nights. I don't know where my reply went, but it's disappeared! Anyways, I often feel like what I do each day would be of no interest to anyone else. But I find a lot of useful information in what others do each day. Your list of everything you use in meals each month sounds extensive. Did you find any items that you could buy in a better fashion to save money or time? Any surprises? Since I became a "senior" with Fred Meyer (I'm wearing that label very loosely), I get that one day per month discount on shopping. So, I've been forced to come up with items and amounts that I use in a month. It's not easy to estimate how much of some ingredients I might need in a month, ahead of time, without going overboard. I'm getting it down, though. And also determining that some items I could buy "better", like the onion powder. I figured out that I go through enough of it that buying it in a canister would be almost half price, and I indeed could use it all before it began to clump badly. Do you remember a magazine which had a monthly menu plan? Although I've never planned out meals a month ahead, I used to like reading that menu plan. I found it interesting to see how someone might have a menu all planned for the month. Hope you can get out for a hike today! Have a great day! Weirdly, my reply to you disappeared as well. Wonder what is up? I am trying very hard to relax these days but the old "got to keep busy, time is money" mantra keeps creeping back in. I feel guilty when I waste time, yet I take a loooong time doing everything...one thing will lead me down another and before I know it the morning's gone. I was fine last week but this week not so good. So yah, I'm a homebody. I hear you! I constantly tell myself, "got to be productive". And I know this is not emotionally healthy, but I measure my day's success on how productive I was. I am working on that, though. One thing you might find useful, though, is to plan some relaxation time for yourself, a couple of days per week. I keep a daily schedule on the calendar function on my laptop, and I'll schedule in an hour here and there, for something I find relaxing, like watch the last episode of Downton Abbey, or browse cookbooks, or plan my next trip. For you, that might be an hour dedicated to working on a specific craft project. It's just an hour, but it carries me away for that hour and I feel refreshed. But that schedule really helps me both stay focused and make time to relax. I don't go overboard in either direction. Funny, I'm starting to look at my craft projects as work too, and I told my husband this morning that I'm beginning to feel stressed about the rigors of my crafting. If I look at it from a practical standpoint, it is a huge time waster. I am not good, nor would I make anything beautiful that I can sell or share. I wonder if I could even donate the stuff I make. I already have a huge bin full of crocheted bags that I made some years ago when I was into making bags, now I'm doing rugs. I told my son and DIL that I don't know what I'll do with the things I make and they seem to agree with that thought. Even my grandson asks me why I crochet so much...aren't I just wasting time? I know I will settle down and despite these nagging negative thoughts will still make my rugs. I don't know what it is but I'm drawn to making things with my hands letting intuition guide every stitch and color. I don't approach my project knowing the design, so it is hard to make it even as gifts. Then there is the cost, in the last two years I've spent several hundred dollars on craft supplies, let alone the space it takes. Fortunately, my husband doesn't mind and he is more than happy to help me see my dream come through. A few days ago, he built a rectangle frame of the exact dimension I needed for my miniature locker hooking project. I know I can get lost in crafting day and night, and live on bread and water. I wish I could do crafting for relaxation but it is somehow more than a pick up and put down affair for me...more like an obsession. I guess I want to put my big old time and money wasting craft projects ahead of more prudent and productive accomplishments in life, but I'm telling myself I can't. But guess which side will win in the end? I have planned leftovers for this evening and a pumpkin like yours, that needs to be cooked before it is lost, is on the menu plan. I wonder is it productivity or a sense of accomplishment? 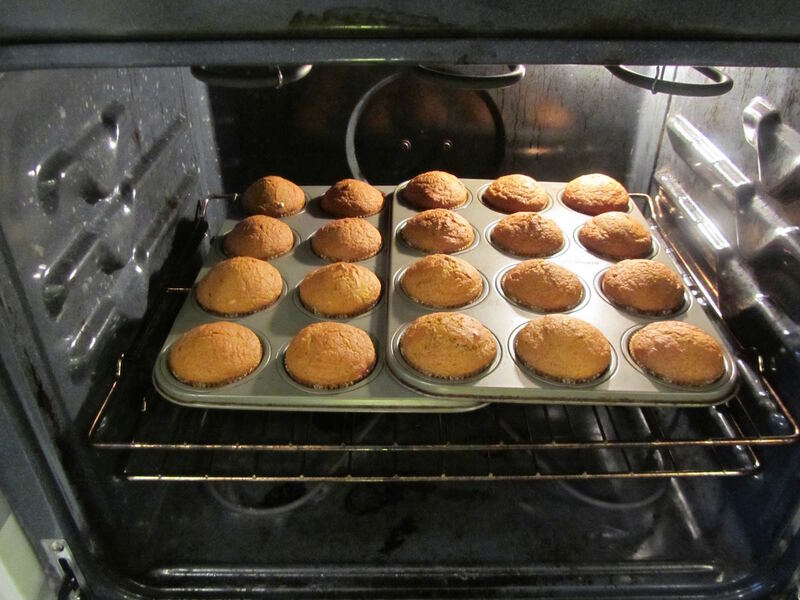 At times in my life when I felt I had little control over circumstances, I used to bake/cook as a means to offset the discord. I always said that something like baking had a beginning, middle and end. Generally the results were a delight and reinforcing. When I baked I could see concrete examples of production in an otherwise chaotic life. Possibly crafts also fill that role for others? YHF, maybe it's more the process than the finished product that is important, a way of expressing a part of yourself that feels pent up. Which is still a valid reason for pursuing something. Yes, a sense of accomplishment! I can look back at my day and say, I did this and this, etc. For me, in the past, baking/cooking has been a way for me to feel like I was contributing in a positive way, to overcoming financial burdens. Now I bake to feed the hungry brood! Ha ha! That is so great that you knit well. My knitting is horrible, and it's not something I can take with me (I need quiet so I can totally concentrate). But I will frequently take pen and paper with me, and jot down notes to myself, like menu plans for the next week. And scarves and dishcloths are very useful items, so you can feel accomplished on two fronts, not just that you were productive, but also made items that are needed. Interesting point, TG! What drives us to keep busy... For me it is and has always been productivity. Am I making the best use of my time, because time is money. I know I am not organized or efficient, and really can't do better. I like being able to segue so I know it's pointless to improve. Maybe that is why I'm hung up on losing more precious time squandered on crafts that are worthless to anyone but myself. I even thought it so far as blaming our market system why only jobs making market valued products and services are paid, while other equally important work are not. Lili..thank you so much, beautiful words...I needed hearing that. It is hard to be behind yourself, and believe me, I struggle with that every day. I'm sitting here wondering if i should venture out to the next town over (an hour away; all towns are an hour away..) to hit the thrift stores, bread store and health food store. Or, maybe i should be a good girl and clean while i listen to Diane Rehm on NPR. Such are the big decisions i need to make today. wow! An hour away! I think I've always lived in suburbs and cities. You must have to really plan your errands, with such a distance. But of course, it must feel so peaceful, there, that any inconvenience of not having stores close is offset completely. Diane Rehm? I'll have to look her up. I'm not familiar with her. And I'll have to find NPR on my radio -- ha ha! I use the radio for one station only. I've never ventured beyond that. Maybe that's something I could change to make my days interesting. When I'm working in the kitchen, I play music that I've downloaded through our library's free music program -- Freegal. It's a nice perk. We get 3 free songs per week. Before Christmas, I was able to build up a nice selection of some of my favorite Christmas music. momsav, I hope you have a great day! I wish I could be a homebody but every day I get ready to go to work and my day job. I like to be home but there is way much going on there also that I almost prefer to be at work. Hubby needs a hip replacement from a car accident 26 years ago and we're ready but the dr. has now changed his mind so we're starting at square one. He has pain pain from the limping due to the bad hip. He had cortisone injection in the back but the shot in the writst to make him sleepy gave him phlebitis. Now he has to go another dr. for an ultrasound and then the cardiologist. He has an ileostomy that is also 26 years old and that is now causing him to lose too much weight. We wonder what is happening now that didn't happen for all these past years? Our daughter, a teacher, is in a very rough school and doesn't like it, two other kids in college and that is also financially difficult for us. We moved 3 years ago to a smaller house but it has problems so now we're house hunting again. This is not how we expected life in our mid-50's getting ourselves closer to retirement. Life stinks but thankfully God gives us a place each day to lay our heads and provides us with food and comfort. We have a lot on our plate and I'm sure God's grace will see us through. I'm so sorry that your life is going through this terribly difficult period. I hope your husband can get the hip replacement that he needs very soon. My mom had two hip replacement surgeries (due to cancer), and when she couldn't walk, her life was so difficult, needing help for everything around the house. Will your insurance pay for any at-home care for your husband, a couple of times per week? My mom had a nurse, paid by insurance, that came in daily. It took the burden of worrying how she would do normal things like bathe or prepare her meals or get her meds, off of the rest of the family, as we knew she would be checked on daily. If not insurance, would you qualify for any gov't-funded programs that would do a home-visit once a week? I just wish there was something to ease some of your burden. I'll keep you in my prayers, Alice. Wishing you a good day, today! Yep, that's how I would describe me also. I like being home, but getting out is important. Not going out for four days in a row during the recent snow made that clear. I need a balance, as well. I think most of us probably do, just a matter of how much is time alone, vs time with others. I would imagine that being forced to stay in, during the weather you had, just makes that trapped feeling worse, as opposed to knowing you can leave any time you feel you need to stretch your legs, literally and figuratively. Yes, and today's another busy kitchen day. 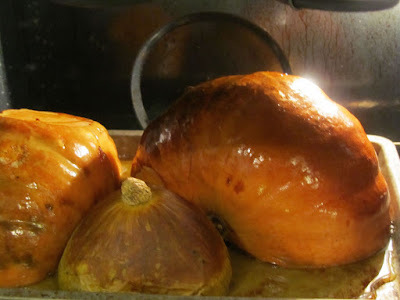 Today, I cooked another large pumpkin and now am baking a bunch of pies for the freezer. We'll be glad to have these pies, but at the moment I'm wondering what possessed me to make 5 pies all at once. My kitchen is something of a disaster zone, right now!